Hey, guess what? When I first started my business I was like a pinball, bouncing around the internet, flicking from here to there and back again. I was searching for something, ANYTHING, that would give me the first clue about running a business, because, truth be told, I had very little in the clue department. I just knew I had expertise and a skillset to help people tell their story and grow their business using beautiful communications. 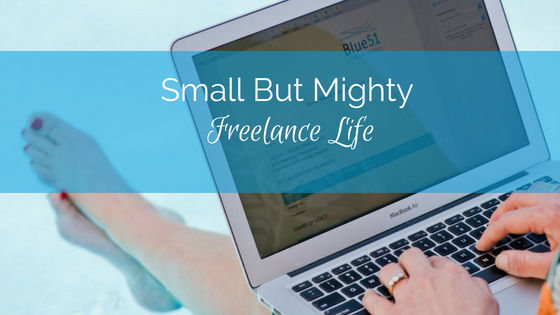 Small But Mighty is twenty five pages of the no muss no fuss small biz/freelance info I would have loved when I was starting out, and I hope you enjoy reading it as much as I’ve enjoyed creating it. Once you provide your details, you’ll be redirected to a page with Small, But Mighty- Freelance Life all yours for the download. That’s just the beginning, my friend. I’ll be popping into your inbox each month with The Blueprint, my monthly splash of communications fabulousness where I share hints, tips, tricks and strategies to enhance your business communications, social media and writing. From time to time, I might also swing past your inbox with a special offer, or another communications freeby. Stay tuned! Psst: So who the hell is Holly anyway? If this is our first encounter, welcome to Blue51 Communications. 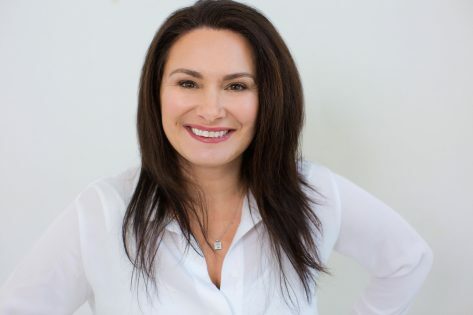 I’m Holly Cardamone, Owner/Director of Blue51 Communications. I’m a Communications Specialist, Writer for Business, Social Media strategist and unabashed Word Nerd. Look at you, scrolling right down to the bottom of the screen. You little rebel; I like your style!